We offer something for every ability and age. 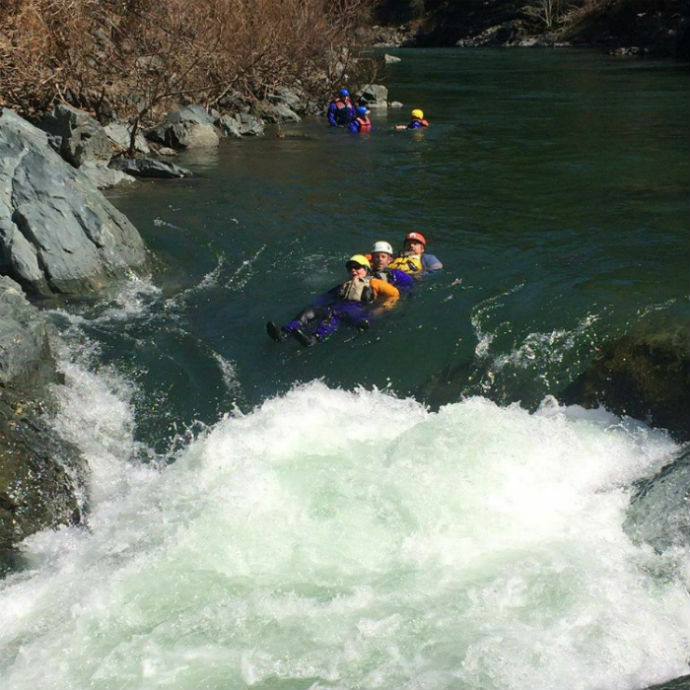 For beginning rafters, we specialize in very calm, easy “float trips”, or exciting Class II-III whitewater on the Trinity, Klamath, and Eel Rivers. Intermediate and expert level enthusiasts can try the most advanced and technical runs in the West. 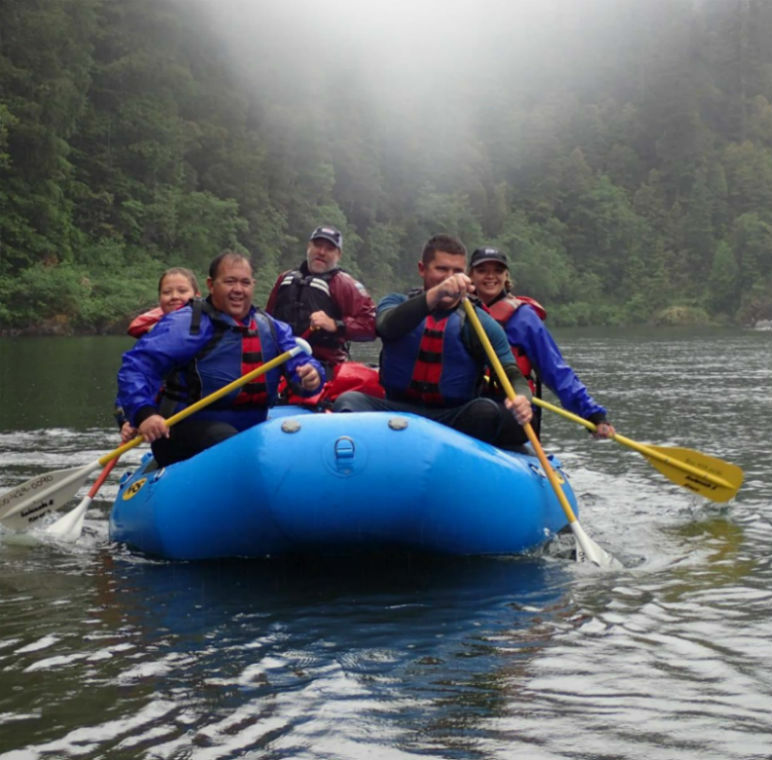 Redwoods & Rivers offers trips for special groups and events. We have accommodated and reserved special trips for inter-city youth, seniors, all women's trips, weddings, and international trips. 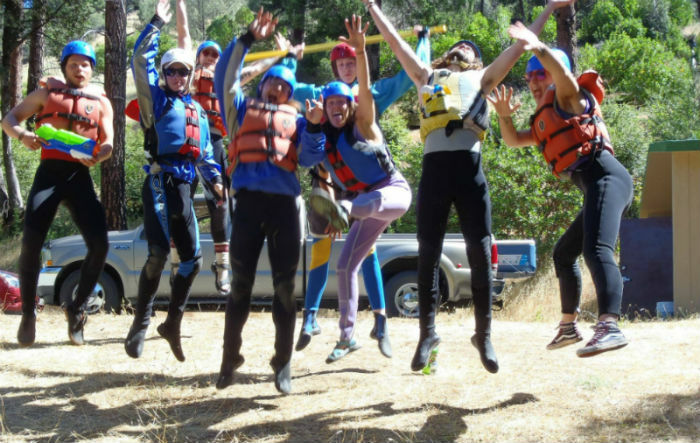 Redwoods & Rivers offers classes for teambuilding, river guides, swift water rescue, and a ropes course. 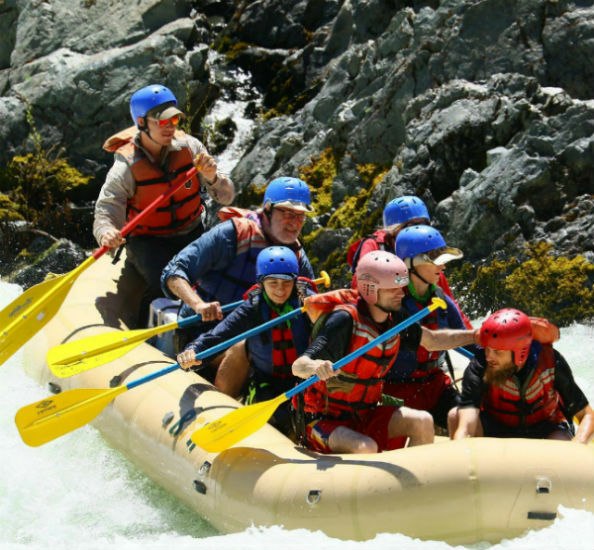 Spend an intensive week with a group of some of Redwoods and Rivers most seasoned whitewater rafting instructors. 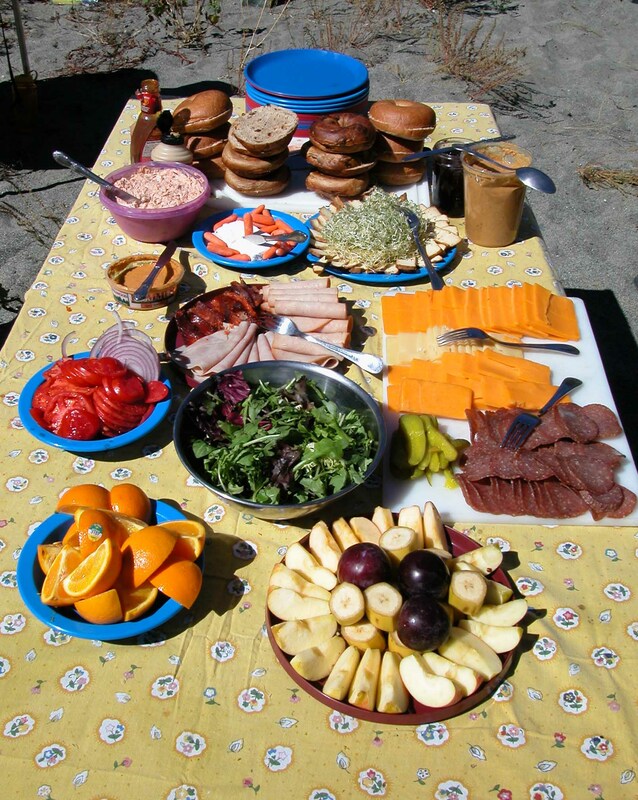 Located on the Trinity River in the heart of "Big Foot Country" Redwoods & Rivers have been providing quality family adventures in Northern California on the Trinity River, Klamath River, Cal Salmon, Eel, and Smith Rivers for over 25 years. Our trips are designed with your safety and comfort in mind. All of our guides are certified in First Aid, CPR, and are trained in Swiftwater Rescue. Many of them are EMT’s and Outdoor Trainers as well. Besides safety knowledge, they are friendly and caring people who are professional and possess a great knowledge of our local cultural and natural history. 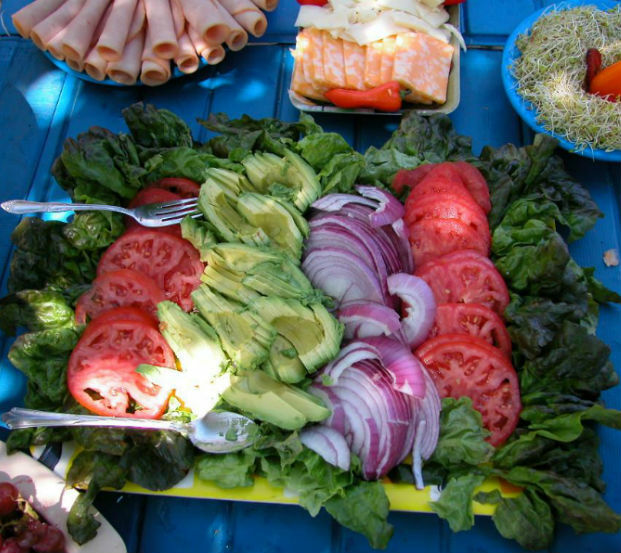 Their additional talents as camp leaders and chefs guarantee your trip to be an exciting and memorable experience. 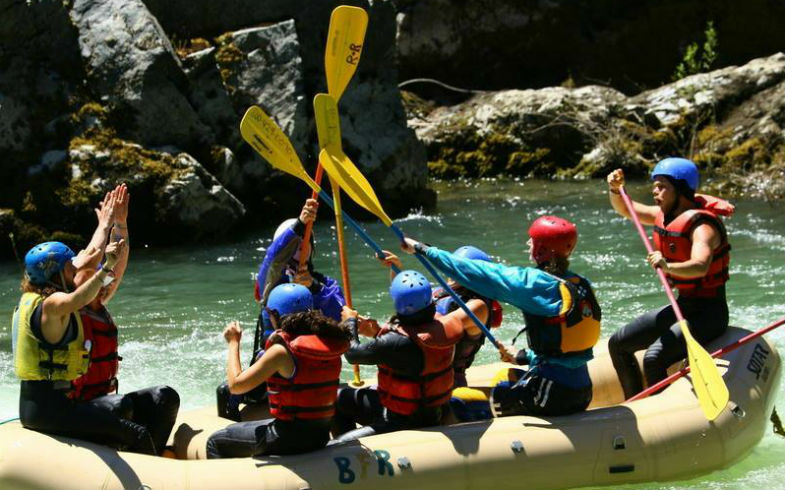 Redwoods & Rivers offer you, your family, and friends the best whitewater rafting adventures around. 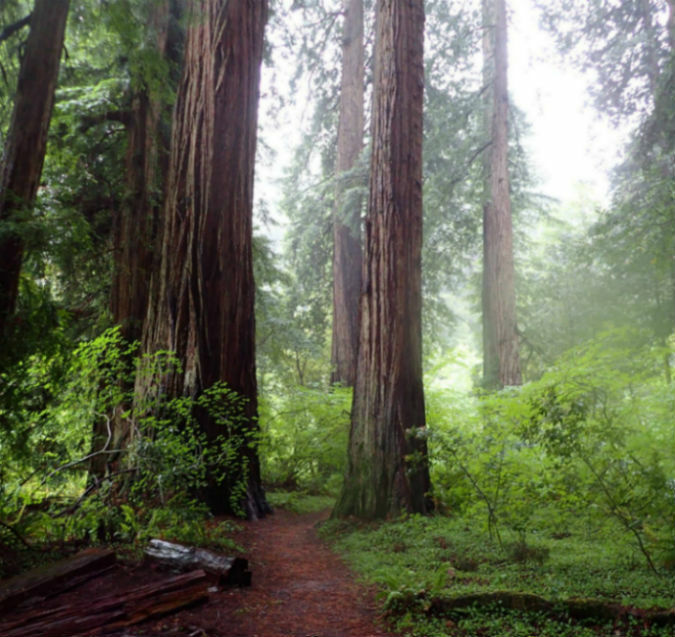 Redwoods and Rivers have an exceptionally high rate of return customers. We consistently receive exceptional evaluations, and have a unique ability to create a sense of community, comfort, and excitement for everyone on our river rafting trips. River Guide School Next Class - June 16-21, 2019. 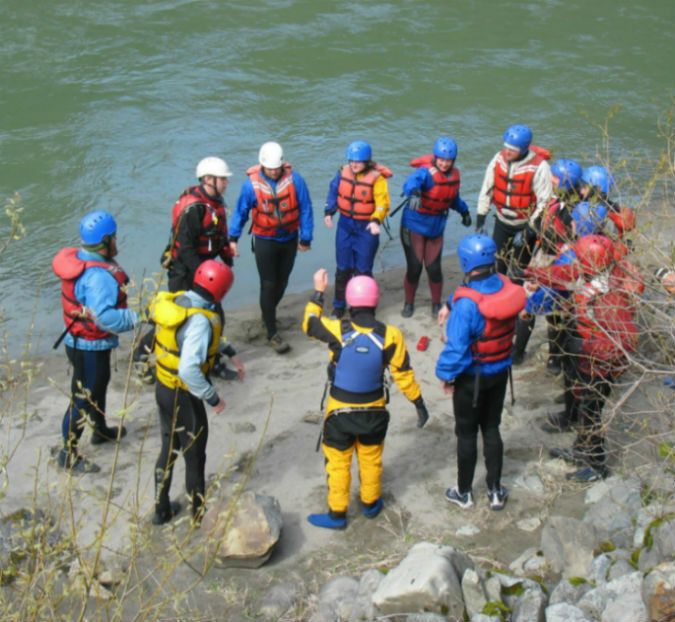 This well-rounded program provides participants with the skills necessary to work as a professional river guide for commercial rafting outfitters or to safely guide their own private river trips. Redwoods and Rivers' Guide School is recognized throughout the United States as one of the foremost in training guides and is one of only a few that is accredited by a State University. Redwoods and Rivers' Guide School is non-competitive and is designed for anyone wishing to learn the skills of guiding rivers. This 6-day training provides a terrific opportunity to learn important river skills and build confidence guiding whitewater in a supportive, constructive environment. Instruction consists of a combination of lectures and hands on experience, with emphasis on gaining experience though practice. Space Limited. Registration dead-line is one week prior to start of class. Private Guide School classes for groups of 6 or more can be scheduled upon request. Includes all meals, gear, equipment, instruction manual, and use fees. "What a blast!! Especially for a first timer. I'm quite impressed with the knowledge imparted to us about the local Native American tradition and folklore, the flora and fauna, and just the general knowledge of the river. The food was really tasty, well presented and abundant, not to mention the tablecloths and fresh flowers picked daily for the buffet table. Upon my return I waxed on to my wife, Debbie, about the trip. We've decided that we'd like to book a trip for next summer." "We loved our trip so much. The river was beautiful, and the RR crew were so welcoming. We felt like part of the family and can't wait to come back!" "We just wanted to write and let you know how much we enjoyed our trip down the Eel River. We had a great day rafting among the redwood groves. Everything was perfect. You have a great operation and we hope that we get the opportunity to make another run with you." "Being a veteran of many river trips I must say that I truly enjoyed your friendly family atmosphere, good well-kept equipment, beautiful river, great guides and your safety conscious." 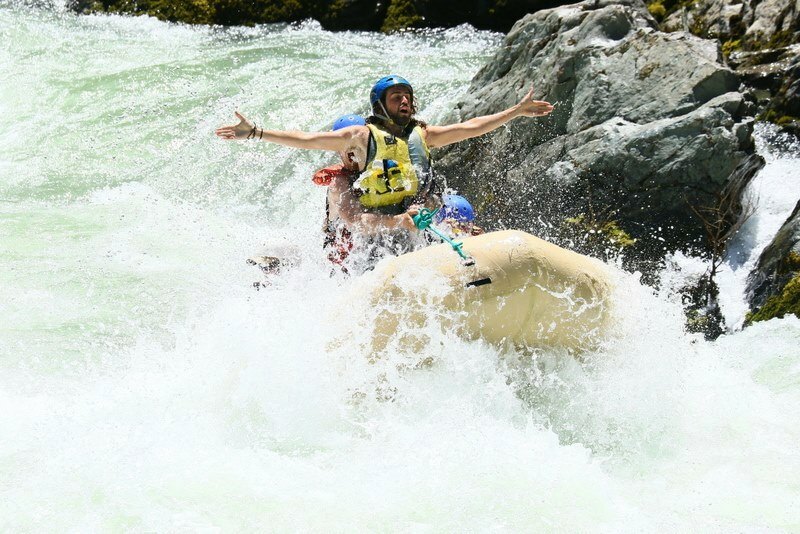 "We’ve been rafting with other companies on the Trinity River and your trips are definitely the best we’ve experienced. The professionalism of the guides and confidence made our group feel safe and relaxed. Also, the food was so much better then baloney sandwiches we were expecting. Our lunch was displayed beautifully and tasted great! Thank you Redwoods & Rivers"
"We think a lot about our trip, kind of hard to forget!!! We definitely want to head back up your way again, perhaps with a group of friends. You are fortunate to enjoy such a beautiful piece of the planet up there and we want to soak it up as much as we can whenever we can. We can't wait to get the photos to put up on our web site and show the world our adventure."